Teal Living are designing and manufacturing design led, fit for purpose furniture of the future and staying true to the philosophy of breaking from traditional design standards by casting aside care home furniture pre-conceptions. Designed with the art of interaction in mind, the Anumo sofa now has a complementary Anumo armchair designed to complete the overall principle of encouraging individuals to socialize and engage with those around them – indeed the standout range has become a talking point in itself. “Developing furniture for the future of care homes happens very much in consultation. The sector is evolving, caring needs and practices are changing, and expectations are much higher. We are defined by our independent thinking; our R&D department’s genuine desire to transform residential care home interiors is always evolving as we work with our customers and industry design experts,” said Sara Jane Farrow, national business manager at Teal Living. Practical, strong and versatile the Anumo range is designed with longevity in mind. The super strong frame supports multiple components, such as lumbar support, comfort foam and pressure relieving cushions. The seat depth and seat height enable’s ease of manoeuvrability and the overall design avoids hidden crevices or seams making for an easy cleaning procedure. Teal Living are manufacturing product ready for non-clinical interiors all geared towards helping the elderly maintain their independence within a home from home environment. Based in Lancashire with its own manufacturing, Teal is a family business owned by the Senator Group with 40 years’ experience in manufacturing for healthcare environments within the NHS and mental health sectors. Teal Living, furniture for people to live in. 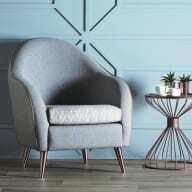 The post SUPPLIER FOCUS: Evolving furniture range is fit for the future of care appeared first on Care Home Professional.